Some budding entrepreneurs are opting for a B-school course after founding a start-up. Their big attraction - the advantage of networks that a B-school can offer. Every year, hundreds of management graduates opt out of placement sessions and go on to set up own ventures. But of late, B-schools have been a witness to another trend - entrepreneurs joining an MBA course after founding a start-up. While learning new skills to run the business better and gaining knowledge are some of the advantages they look forward to, surprisingly, one of the biggest sources of value for most is the advantage of networks that a good B-school can offer. But is it worth the risk? After all, most are in their early-growth phase and joining a B-school may slow things down. Also, matters could become complicated if there are partners involved. "Time is valuable. You have to balance the gain from the course against the loss of momentum in business during the year the founder is away. The gain when they return has to be huge to compensate for the loss in momentum for the business," says Sarath Naru, Founder and Managing Partner, Ventureast, a leading VC firm. His suggestion: "Set clear expectations with partners on how you run the business and how you intend to make up for the loss." The Profiles: The entrepreneurs are undeterred. 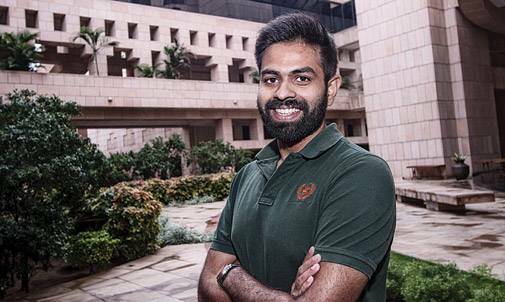 Ankit Biyani, studying at Indian School of Business, or ISB, Hyderabad campus, is the President-Entrepreneurship and Venture Capital Club for the Class of 2018. He also runs a start-up that he and his brother, Pratik Biyani, founded. It is called Little Things (Magic Palate Ventures) - a Cafe and Patisserie based out of Hyderabad. His brother is handling operations in his absence. "I found I had several shortcomings, from lack of networks in the right areas to not possessing the domain know-how to execute better to facing difficulties in finding like-minded team members who could work alongside me to build the business. Being a one-year programme that offered extensive knowledge and powerful networks, ISB seemed the right fit." He is clear on what he intends to take back: "The most important takeaway is the network I have been able to build. I have met a bunch of talented and smart individuals in different domains. This will make it easier for me to find my next CTO/CMO and the like." He is not alone. "Our batch has over 300 people who have either worked for a start-up or founded a company. About 40-50 are business owners. That is a significant number and adds great value to the network," he says. Were there any added spin-offs from the course? "The difference between now and earlier is that I have a greater set of tools and frameworks to view the business. Earlier, I didn't know what to do when faced with a tough situation and so tried different approaches to see which one works. Now, it is different. For example, I now clearly understand the importance of marketing. This was one reason I could not succeed in my earlier venture." Amit Kumar Singh, from IIM-Bangalores 2017/19 post graduate diploma batch, says: "I believe interaction with people with similar goals will help me organise my thoughts in line with my dreams and give an insight into business processes. The courses are enriching, the pedagogy stimulates thinking, and we are being trained to think and manage time and resources. I believe all this will make me a better manager, be it for my own start-up or any other company." 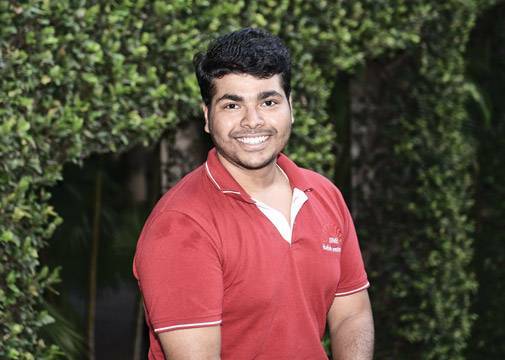 His batchmate, Shubhanshuk Sarkar, says: "During my years as an designer in the mobile gaming industry, I learnt how the right network can take your product or company to new heights. At IIM-B, I hope to cultivate a network of professional resourceful people for my future ventures. Holistic and overarching learning about organisations, product development, and managing human and other resources should prepare me for the unpredictable road of entrepreneurship." On what prompted him to opt for the course in the first place, he says: "Marketing was a major concern, severely underestimated by me. I received a brief introduction to marketing during my years as a professional in the industry. Only after starting a venture did I realise the scope of the subject. I made up my mind to get training on the subject and other considerations that go into running a studio." Sandip Garg of the PGPM 2016/18 batch at MDI, Gurgaon, joined the programme in June 2016, when he was running a start-up called Raw and Ripe to eliminate the role of middlemen in the supply chain for fruits and vegetables in Delhi, Noida and Gurgaon. He says the start up was launched in December 2016 and had to be shut down as his partner left. He wants to get back to entrepreneurship again after the course, which it says will arm him with skills in marketing and managing cash flows. Most important, he says, the course will help him leverage the B-school network. He plans to pay back his `18 lakh loan he took up to pay the fee, build a financial cushion and then head back to entrepreneurship. More power to him and his ilk.